'Great Country', 'Great land' or 'Mainland' - Alaska is synonymous with sparkling lakes, mystical mountains and glaciers unique of its kind. Alaska is one among the two states of the USA that is not bordered by another state. Alaska is located on the northwest area of North America and covers a large area of land and is the least populated. An interesting feature of Alaska is that the capital of Alaska, Juneau is accessible only by air and sea and is not connected by road. 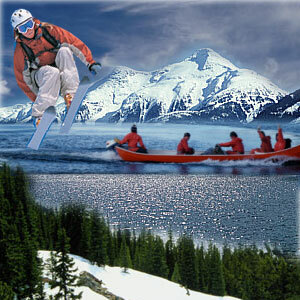 Alaska adventure travel promises lots of excitement and fun! Find out pertinent details about travel to Alaska . Native Alaskan culture, art, music, natural beauty and outdoor activities attract tourists to Alaska. Understand the climate of this place before you embark on travel to Alaska. Famous for its unpredictable climate, southeast and south central Alaska experiences heavy rainfall and moderate temperatures. West Coast region of Alaska is comparatively cooler, fog and rain is a regular trait and average temperature during summers is 7 degrees Celsius. A unique feature of Alaska's climate is the midnight sun, sunshine during midnight sounds crazy but is a reality and tourists thoroughly enjoy this phenomenon. If you are looking for adventure packed travel, head to Alaska. Sea Kayak trips, hiking, drifting off in a raft, dog sledging, trekking – travel to Alaska to experience it. Remember to stay in one of those lodgings in between the true wilderness of Alaska to have the real feel of adventure. Alaska has plenty of such lodging options. Kayaking: Prince William Sound, Glacier Bay National Park, Kenai Fjords National Park are the favorite picks for kayaking in Alaska. Travelers can choose between individual trips to guided tours. 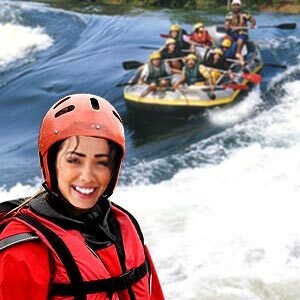 Rafting: The natural scenario across Alaska can be best enjoyed with whitewater rafting or scenic float trips. Wilderness lodges: Denali National Park, Kenai Fjords are enjoyable places to visit. You can reach Kenai Fjords only by boats. Helicopter tours: Tours to Denali National Park, Juneau, Valdez, Anchorage, and Talkeetna are among the more popular helicopter tours. Alaska has lots of smoky eateries and plenty of coffee to offer its visitors. Reindeer sausage and eggs and hodgepodge are very famous. Fireweed honey and spruce tip syrup made from Sitka spruce are very famous, not to mention salmons. Most of the cities in Alaska are connected only by air and water. Alaska is a wonderful place to be explored by rail too. Travel by road is practically impossible within many places of Alaska. While in Alaska ensure that you have the right road maps or have a guide around you else there are chances of losing your trail in the wilds. Alaska can be divided into seven regions namely Arctic, Interior, Kenai Peninsula, Kodiak, South central, Southeast and Southwest. Arctic region: Deep rooted in local culture, primitive dances, rituals and craftsmanship, this region must be included in the itinerary of any traveler to Alaska. The people, the place, the history makes this place in the north a distinct region of Alaska. All travelers will be taken aback to see the intermingling native customs and the latest technology of the 20th Century here in Alaska. 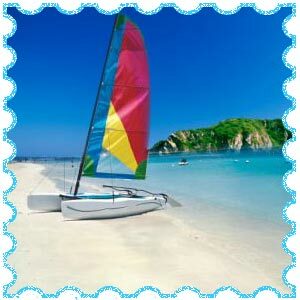 The thick vegetation, wildlife and marine life that thrive in these wilds run a chill down the spines of all travelers. The never ending sunshine during the summers crafts a wonderful green carpet of wildflowers and berries. Winter holds no less, for it brings out the extravagant beauty of the aurora borealis. Noatak National Preserve, Kobuk Valley National Park and the Gates of the Arctic together comprise the world's largest Parklands. This park starts from the Canadian border and stretches across Alaska and is habitat to the powerful Brooks Range. Grizzly and black bear, wolf, moose, wolverine, and Dall sheep are also found in this park. Migratory birds from Europe, Asia and South America visit this park during spring. Bering land bridge is believed to have transported Asians to America and covers a distance across the Bering Strait in Siberia to Seward Peninsula in Alaska. This National preserve experiences harsh winters and is home to a large number of migratory birds during summer and is home for a number of migratory sea mammals. Yukon flats, Cape Krusenstern, Arctic refuge, Koyukuk, Selawik, and Kanuti are other places of interest in the Arctic region. Kenai Peninsula Region is known for its rugged beauty, every exploration taken on this terrain is worth the experience. The entire driving stretch is filled with scenic beauty; journey by rail is an equally good experience as the traveler gets to gaze at the snow capped peaks, wild rivers and passes across the massive ravines. Flying is an equally good option for people who have less time but want a bird's view of the entire place. Kenai Fjords, Kenai Refuge are the famous parks of this area and houses moose join mountain goats, Dall sheep, trumpeter swans, bald eagles and Canadian geese. Fishing is the famous entertainment in this place and is very famous for the fresh water salmons. Trophy rainbow trout, sea-run Dolly Varden and Arctic char can also be found in the waters. Along the Pacific 'rim of fire', active volcanoes can be viewed. Hiking and trekking activities are also famous in this area. Most of Alaska's natural wonders can be found here. Alaska's longest river 1875 miles long, the dynamic Yukon flows here. The Denali national preserve houses the majestic Mount McKinley's. This peak dominates the southern landscape of this region at 20,320 feet height; this is North America's largest mountain. This park is habitat to 37 species of animals and 155 species of birds and covers a vast area of 6-million acres. Denali State Park, Yukon-Charley, and Tetlin refuge are other parks in this region. The aurora borealis also called the northern lights is seen from late August through April and the locals believe that the lights are the souls of their ancestors. Manley, Circle and Chena hot springs bubble with mineral water and is thoroughly enjoyed by all the visitors. Winters attract visitors for skiing, dog sledding, snow machining and other activities. Home to Alaska's largest fishing fleet, the Kodiak region was also the capital of Russian America from 1783 to 1799. The influence of this culture can be seen in the Russian Orthodox Church and the Baranof museum, which is Alaska's oldest wooden structure. Bird watching is the main activity. Fort Abercrombie is a wonderful picnic spot surrounded by lush green forests. Kodiak national wildlife refuge is home to the brown bear and was established to save these bears from extinction. Native mammals in Kodiak are red fox, river otter, tundra vole, little brown bat and short-tailed weasel. Kodiak is home to scores of outdoor adventures. Housing more than half the population of Alaska, this place is the entertainment heaven of Alaska. Autumn is the best season to be in here. This region is very busy with the transportation links to the rest of the Alaskan regions. Thrilling festivals are held in winter and fur rendezvous is held in February. Ferries, skating, dog sledging and other outdoor activities with sprawling farms in the Matanuska valley make it a wonderful holiday destination. Wrangell St.Elias Park and Lake Clark are added attractions. Pure water and panoramic mountain views, the entire region is engraved by glaciers and covered with magnificent hemlock and spruce. Tlingit, Haida Tsimshian Indians have settled down in the southeast region of Alaska, their strong heritage reflecting in the native arts and totem poles. Charter boats, small and large cruise ships and private yachts take travelers across the scenic towns and Misty Fjords National Monument, Tracy arm. Glacier Bay, Klondike, Sitka Park, Admiralty Monument and Tongass forest are other places of interest. Calm grasslands of the Aleutian Islands to the bizarre volcanic scene of Katmai National Park form the wonderful southwest region of Alaska. Pribilof Island in the Bering Sea is a wonderful opportunity for every photographer and nature enthusiast. Brown bear, fur seals, sea otters and sea birds have their natural habitat right here, some of the largest sea birds and fur seals can be found here. Fishing is the prime activity and you can find various fly-in fishing lodges. Bristol Bay has the highest red salmon. Yukon Delta, Togiak, Alaska peninsula, Alaska maritime and Katmai Park are places of interest for the naturalists. First Published Date: 25 Feb 2010 Last modified Date: April 25 2019 This page may have been updated recently as new information is available or the content may have been edited for better readability.